Several CARICOM out-of-school youth will benefit from training in entrepreneurship to increase their ability to earn. The exercise is part of the CARICOM/Spain Project: Support for Reducing Youth on Youth Violence in Schools and Communities in CARICOM Member States. It will use the Creativity for Employment and Business Opportunity (CEBO) model to build the capacity of out-of-school youth from the Babanneau community in Saint Lucia, the Cayon community in St. Kitts and Nevis, and the Gray’s community in Antigua and Barbuda. Speaking at a workshop which opened on Monday, 23 May in Antigua and Barbuda, CARICOM Secretariat Coordinator, Health and Human Development, Ms. Beverly Reynolds, noted the achievements of the Support for Reducing Youth on Youth Violence and the CEBO projects. Listed among the achievements is the establishment of Champions for Change Clubs (CCC) in Schools which has a current membership of approximately 500, as well as the establishment and launch of a CCC in one community in Trinidad and Tobago. Capacity-building has been a major emphasis of the project, and its target audiences, which include in and out of school youth, teachers, parents and other stakeholders, have benefitted from training in a number of areas. Among the areas are Crime Prevention through Environmental Design (CPTED); Life Skills; Early Warning Signs in Troubled Students; Parenting; character development workshops; and a regional forum on Youth Crime and Violence, which attracted a approximately 150 persons from a wide cross-section of persons in the Community. In speaking of the entrepreneurship training, the CARICOM Secretariat representative drew attention to the uniqueness of the CEBO model which is being used. The model was developed by young people; it is facilitated by young people for young people; and it offers a Caribbean home-grown entrepreneurship programme that is sensitive to the Caribbean context and needs. 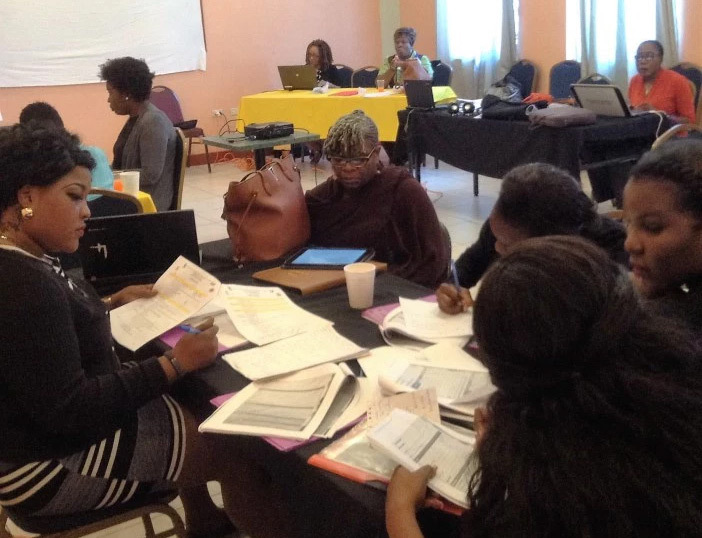 The entrepreneurship training being undertaken in Antigua and Barbuda is one of two taking place simultaneously, with a third on 30 May 2016, in St. Kitts and Nevis. We know that becoming a well-adjusted and responsible adult is not a 100-m dash but a race which calls for endurance, perseverance and commitment”, she said. The Reducing Youth on Youth Violence project, which is being implemented by the CARICOM Secretariat, has benefitted from approximately US$420 000 from the Kingdom of Spain, and comes in the wake of increasing incidence of youth violence. In a Region where over 60 per cent of the population is under the age of 30 and in national contexts where at least one-fifth of the citizenry are between the ages of 15 and 24, young people are reportedly the main victims and perpetrators of crime and violence in the Caribbean according to the World Bank/UNODC Report  and the Caribbean Human Development Report ).